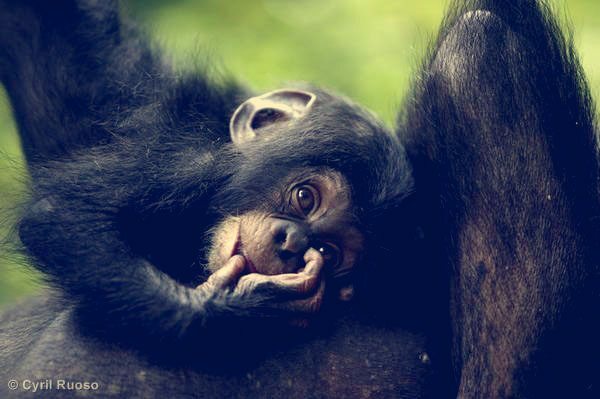 An infant chimpanzee at the Pandrillus Drill Sanctuary, Nigeria. Rumours that the Cameroonian government was on the verge of signing a land lease agreement with Herakles Farms have been swirling for over a year. In November these fears were realised as the government announced that the land lease had finally been signed, for the company’s damaging palm oil project in the South West Region of the country. Although I am concerned and disappointed by this development, I think it’s important to recognise what the campaign against the project a concerted, joint effort by local communities, Cameroonian and international NGOs – has succeeded in achieving so far. The whole process was greatly slowed down, and the plan for a land lease has been reduced from a 73,000 hectare plantation for 99 years, to a 3 year provisional lease for less than 20,000 hectares. This is a significant reduction, but social conflicts and legal problems remain. The Herakles Farms project is the wrong project in the wrong place, and it would set a very bad precedent if not stopped. The environmental controversy that surrounds the Herakles project was further highlighted by the recent publication of ascientific paper published in the journalAfrican Primateson the impact of industrial oil palm expansion on Africa’s primates, by scientist Dr Joshua Linder. In the paper, Dr Linder states that, “agro-industrial developments will soon emerge as a top threat to biodiversity in the African tropical forest zone”, and fears that it could lead to “a rapid decline in African primate diversity”. In his paper, Dr Linder describes Herakles Farms as “leading this new wave of industrial oil palm development”. He states that the plantation “will not only lead to the elimination of animal populations of conservation concern within the plantation, but will seriously degrade the integrity of the four protected areas [which surround the plantation]”. Greenpeace Africa has already called attention to the presence of many endangered primates in Herakles Farms’ concession area. In August, we published the preliminary results of astudy carried out by the University of Dschang, Cameroon, which showed that the area is home to the endangered Nigeria-Cameroon chimpanzee, the endangered drill and the critically endangered Preuss’s red colobus monkey, amongst other threatened wildlife species. Herakles Farms may be leading this ‘new wave’, but there are plenty following suit, both in Cameroon and across the continent. Commodities giantCargillis looking to acquire land for a palm oil plantation in the same ecologically sensitive region of Cameroon as Herakles Farms. On the other side of the Cameroonian border, Wilmar is expanding its palm oil project in Nigeria. In Congo-Brazzaville, the Malaysian company that took over theATAMA plantation is developing a major palm oil projectin the midst of an intact rainforest region that provides important habitat for Western Lowland Gorillas and Forest Elephants. In Liberia, approximately600,000 hectares have been earmarked for palm oilplantations, overlapping with areas of dense forest which provide critical wildlife habitat for threatened and endemic species such as chimpanzees. And the list goes on. New palm oil projects seem to be increasingly popping up in West and Central Africa andmany of these projects may involve deforestation and represent a threat to crucial wildlife habitat. To prevent the loss of these majestic animals to habitat loss and bushmeat hunting, Dr Linder calls on the government of Cameroon to halt the allocation of new industrial oil palm concessions “until environmentally and socially responsible policies are put in place”. 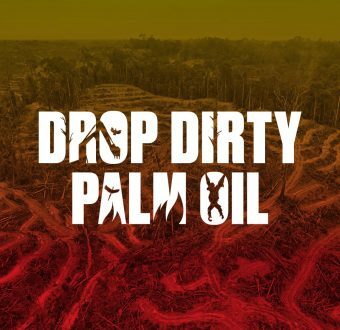 Greenpeace echoes Dr Linder’s call as a step towards palm oil production by local communities and industrial players that protects forests and critical wildlife habitat and respects the social, economic and cultural rights of local communities.